Mr. Escutia is the President and Founder of Quality Environmental, Inc. He has more than 25 years of diverse experience in the construction and environmental services industries as both a senior estimator and senior operations manager. Mr. Escutia has created long term business relationships and has helped develop past businesses into both successful and profitable operations. Mr. Escutia has long been responsible for the overall management and direction of Quality Environmental. He is currently responsible for all technical, administrative, and fiscal management of the firm, including the direction of business development activities. 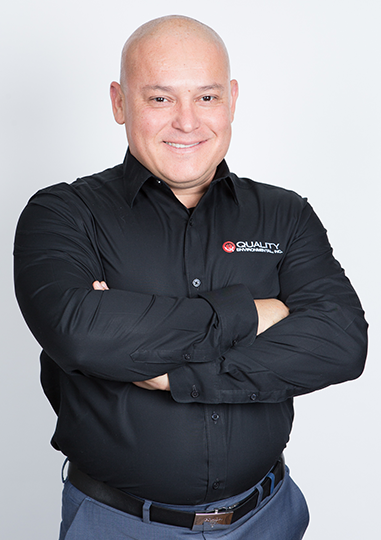 As President, Mr. Escutia is leading Quality Environmental, Inc. to increasing profits, client and business diversification, and continued development of both management and revenue. 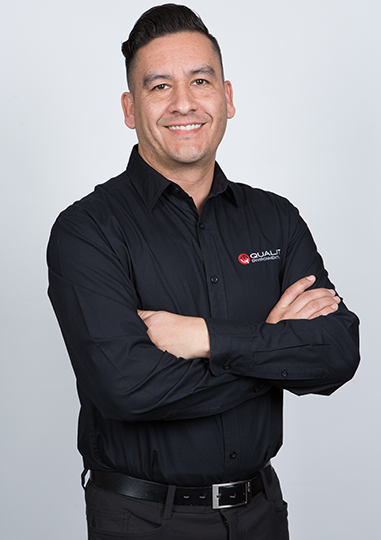 Mr. Escutia believes strong business relationships, win/win environments, integrity, honesty, positive environment, and high quality are all part of cost-effective solutions. Mrs. Delval has over 15 years of experience in administrative management, accounting, and human resources. 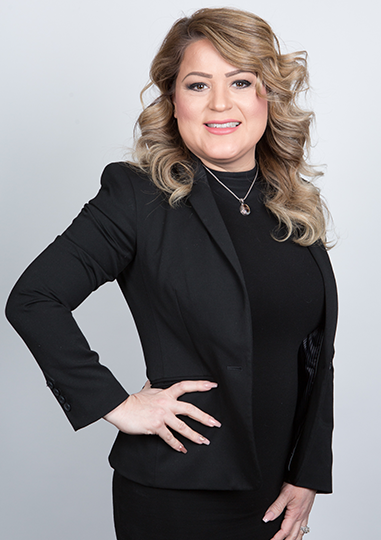 She is responsible for fiscal administration, certified payroll, receivable and payable departments, and maintaining a pool of qualified workers. Mrs. Delval focuses on establishing and developing relationships with our clients’ accounting departments to create a synergistic and positive work environment. Mr. Delval’s combined experience in project estimating, environmental remediation, and construction management make him an invaluable Senior Estimator. Mr. Delval is responsible for new business development and proposals, manpower planning and training, and development of supervisory leadership. Mr. Delval’s duties include market development, project management, and construction administration of various types and scales of projects. 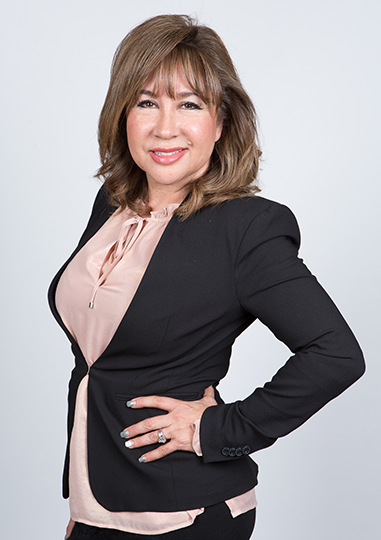 Mrs. Escutia has many years of payroll experience and is responsible for oversight of all payroll functions and records. She works closely with HR to implement and maintain all new and current legal requirements as well as employee records. To Mrs. Escutia, Quality Environmental’s employees are like family and she spurs the company culture of employee appreciation. You will often find her in planning gatherings of all kinds and discovering new ways to celebrate employees.